The Pulangiyen community in Bendum is sustaining its forests back through a mixture of activities that relate to their basic needs for water and for livelihood. There are around 12 hectares under various forms of utilization that assist the natural regeneration of forests. The approach may not be comprehensive and can be viewed as patchy, as there are different reasons for different areas of regeneration. What is of critical significance is that the awareness of assisting forest regeneration is highly linked to the value the community puts to strengthening their culture. In this way, basic resources are self-sustaining while being productive at the same time in terms of the community’s livelihood through abaca and securing of water. 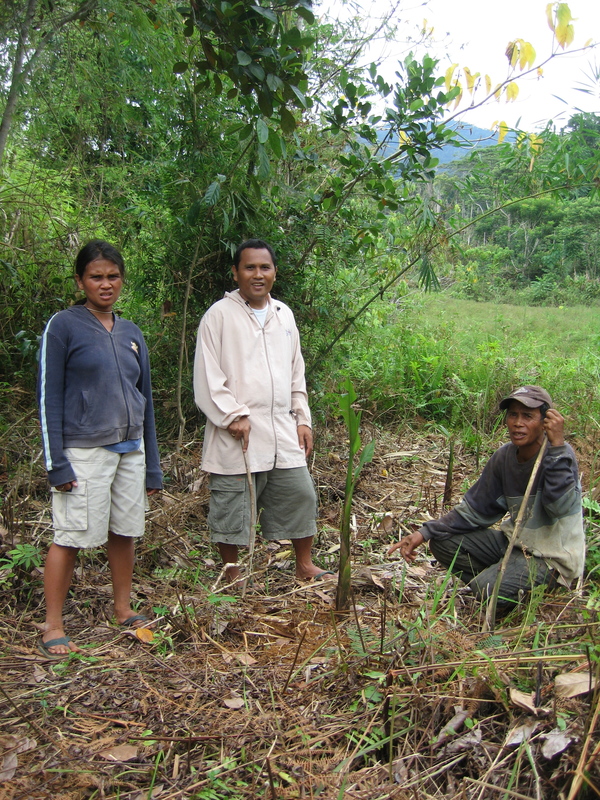 This work was presented at the FAO Regional Workshop on “Advancing the Application of Assisted Natural Regeneration (ANR) for Effective Low-Cost Forest Restoration,” May 2009, in Tagbilaran City, Bohol, Philippines. The Pulangiyen community is one of the cultural groups in northern Mindanao that traditionally identify themselves by the river systems they inhabit. They live in a village called Bendum, located along the upper reaches of the Pulangi River and on the western slopes of the Pantaron Range. The Pulangiyen area has significant tropical rainforest and a great range of forest cover can be found up the mountain slope. Some unique Philippine fauna also thrive in these “elevation islands.” The distinctly dry season is from March to May and for the rest of the year, it is rainy. The government recognized the Pulangiyen’s ancestral domain of 2,600 hectares in 1998. There are about 60 households in Bendum, 20% of whom are migrants. There is a tribal council of elders who leads the community, but there are also sitio (village) leaders with some Pulangiyen membership who link with the neighboring Busdi village. The Kumitiba hu Wahig (Water Committee) is tasked to manage the water system and source that was established in 1995. The committee encourages forest regeneration activities in the areas of concern especially above the water source. The Kumitiba hu Panginabuhian (Livelihood Committee) is the trading arm of the community that links the community to the market by facilitating the trading of abaca fibers and basic commodities not locally produced, such as salt, dried fish, cooking oil, canned goods and snack food. This committee also initiates abaca planting to ensure sustainability of their resource base for trade and for weaving. Traditionally, people hunted and practiced sakum (swidden) while gathering alamay (wild abaca) and balagun (rattan). Logging was heaviest in the area in the 1980s and what is left unlogged are the difficult slope forest and higher elevation mossy forest. The rattan was exhausted with extraction, also done by many from outside. People tried coffee and intensive maize cultivation as introduced by the migrants for a while, but in the last 10 years, it was abaca that provided a variable income for many. There is also less intensive farming that involves clearing of fallow lands. 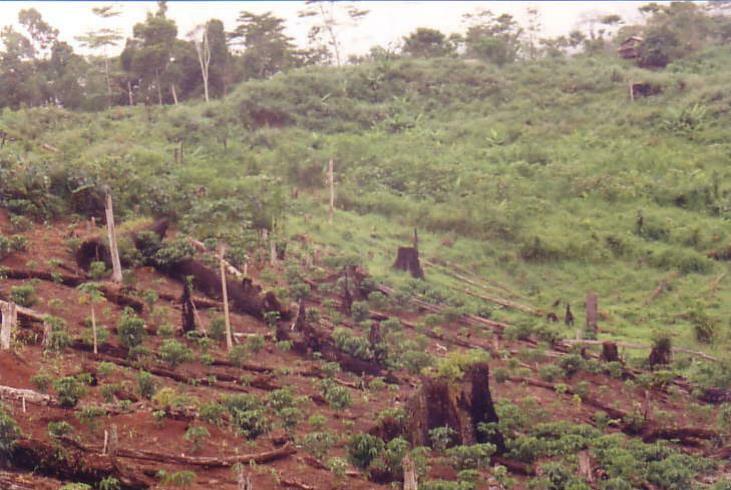 The culture has a long association in using forest products and maintained much of the forest that has been abandoned by logging. The youth take a particularly active role in monitoring activities in the area. 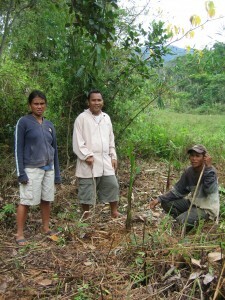 The community understands the forest cover as the source of its clean water in the area. Basically, this is a community who wants to secure its gaup (domain), and central to the present discussion is the water source and system of management. The community continues to struggle with its own needs for food, cash during emergencies, and support for their children’s’ education. Over a decade ago, when there were external pressures to cut the forest, the community decided to find other ways to support their needs other than timber extraction. The Pulangiyen understood that they stand to lose the inheritance of their children. The community sought greater security of resources by establishing agreements with neighboring communities and a formal agreement with government regarding their ancestral domain. Their sense of land and the importance they give to cultural identity and language strengthened their approach to area management. The Pulangiyen traditionally cultivate abaca; the women dye and weave it into kumuyut (cloth). Kumuyut is culturally important as sug ut: a gift for visitors and a token during conflict resolutions. Abaca is also entwined for ropes. When sold as a basic fiber, abaca is becoming a reliable source of cash for the community. The alamay is not of high quality so new corms were brought in to strengthen existing stocks. 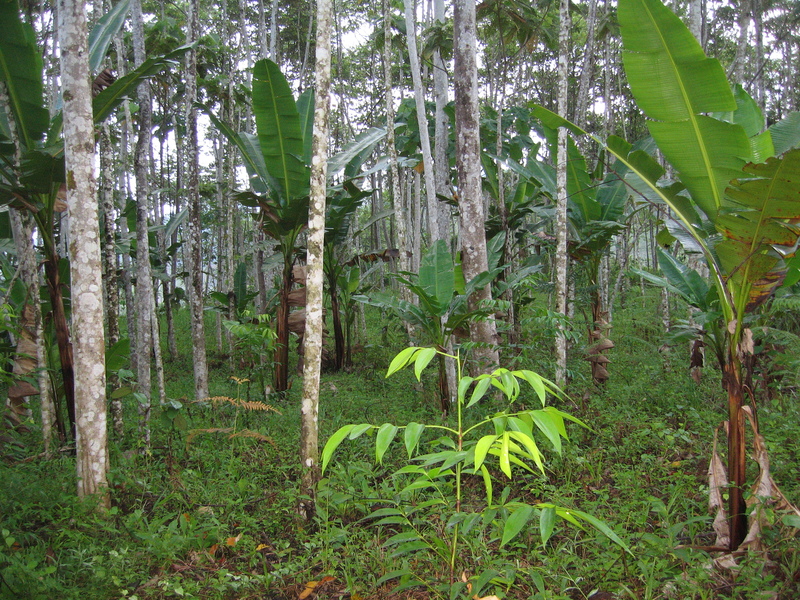 The Pulangiyen plant abaca in semi-open canopy forest – this protects the abaca from mosaic disease that aphids bring from the maize. As part of the management strategy, the committees, in cooperation with the school, the Apu Palamguwan Cultural Education Center, planted abaca in 2004. They have a quarterly maintenance of the area doing round weeding and cutting of dead leaves along with the maintenance of the spring box. The planting is becoming an annual activity that extends the original area. 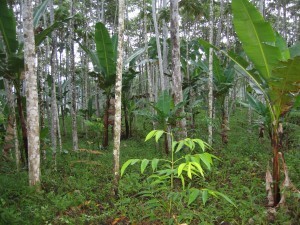 Abaca fibers can be extracted within three to four years after planting. The current practice uses manual stripping and while mechanized stripping would be more efficient, this is not yet done due to fears of over-exploitation. At 600 to 700 masl, the natural vegetation is sub-montane forest with a significant presence of upilon or salumayag (Agathis philippinensis), lawaan (Shorea sp), and dangulog (Dipterocarpaceae). 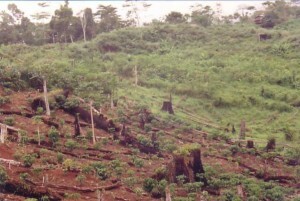 When this land is cleared and eroded by intensive logging activities or intensive maize production by migrants, the nutrient is depleted and agsam or bracken (Pteridium sp) dominates the vegetation more than cogon (Imperata cylindrica) or boyo-boyo (Piper arborescens) found at lower elevations down the valley. The agsam grows to three meters in length and may burn over a number of years when there is a dry week. With such thick growth, it is very hard for any species to develop headway, including labagti (Macaranga spp). Agsam becomes the end dominant vegetation, the false climax, while the true climax of dipterocarp is lost. Where are the Bendum forests regenerating? Water to the village used to be delivered through split bamboo but with frequent sickness and interruption of supply, a safer and more permanent source was identified. A spring box was built around an exposed source adjoining cultivated land and the water was piped to the community 0.75 kilometers away on the opposite slope. The area around the spring box of about half a hectare has since been planted with giant bamboo (Dendrocalamus asper) and mahogany (Swietenia macrophylla), both not native to the area, and lawaan; now there is no exposed soil in the area. The committee clears the spring box mainly of roots every three months; it is also responsible for water distribution, maintenance of pipes, and a small fee collection. Above the spring box, the initial cutting of some abaca and clearing of agsam in a small area allowed the growth of andalungung and some labagti, which are noted pioneer species. Under the emerging shade of this growth, new abaca corms were planted in 2006. 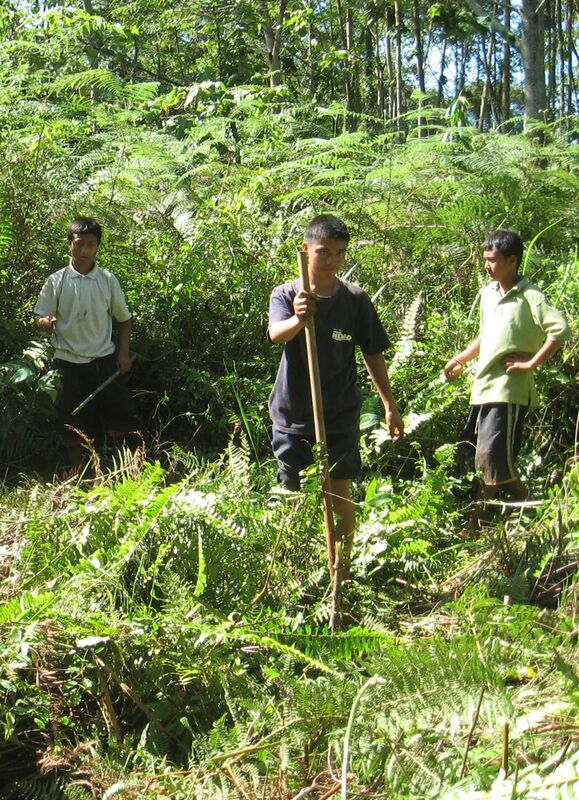 Every school year, the students collect salumayag and lawaan seedlings from the forest and plant in the area. The livelihood and water committees, along with the involvement of the youth, now want to establish more permanent cover on a neighboring area previously cleared for agriculture and left fallow. The initial hectare is now being extended to approximately four hectares. Meanwhile, the lower stream banks towards the village are maintained with natural vegetation of about a hectare. Three more hectares are naturally regenerating between the village and the water source and the original vegetation is creeping back. This area is dominated by anunutung, tree ferns (Cyathea sp), balanti and some self-seeding falcata (Albizia falcataria). The wet area was not successfully managed as a fishpond and was planted with sed-sed (Fimbrystilis globulosa), a rush that is cut and woven for banig (soft mats). The degraded old forest by the Adagi Balay or Dumanan (house of accompaniment) is being reinforced and the school has about half a hectare of recently replanted lawaan. Any burning is prevented in the area due to greater awareness that grew from actions initiated during the drought of 1997. This passageway that is being regenerated links the higher tangile (Shorea polysperma) -oak (Lithocarpus sp) and mossy forests with the village and is becoming a learning ground of the school that uses the language and culture of the people to strengthen their identity and negotiation in the valley. Indigenous Pulangiyen Community, Philippines The indigenous Pulangiyen community in Bendum, Mindanao, practices agroforestry and assists in the natural regeneration of forests along the Pantadon Range.